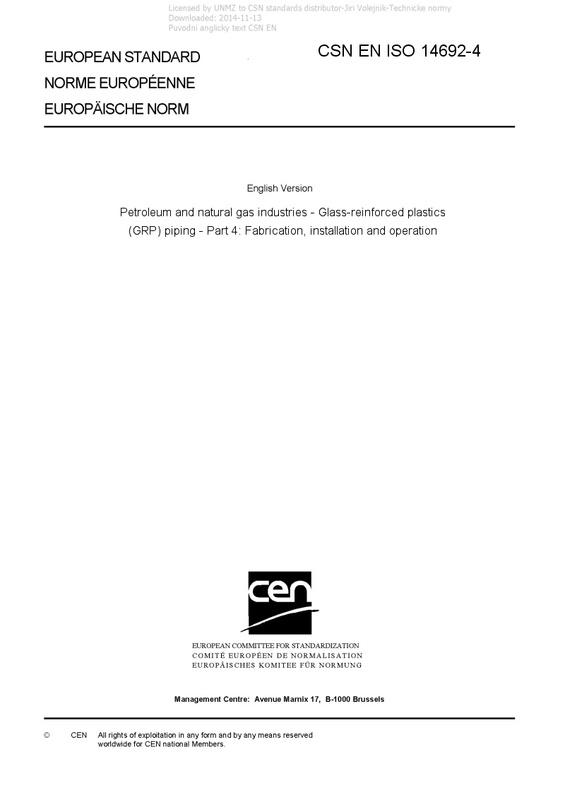 EN ISO 14692-4 Petroleum and natural gas industries - Glass-reinforced plastics (GRP) piping - Part 4: Fabrication, installation and operation - ISO 14692-4:2017 gives requirements and recommendations for the fabrication, installation, inspection and maintenance of GRP piping systems for use in oil and natural gas industry processing and utility service applications. The recommendations apply to delivery, inspection, handling, storage, installation, system pressure testing, maintenance and repair. It is intended to be read in conjunction with ISO 14692-1. Original English text of CSN EN Standard. The price of the Standard included all amendments and correcturs.